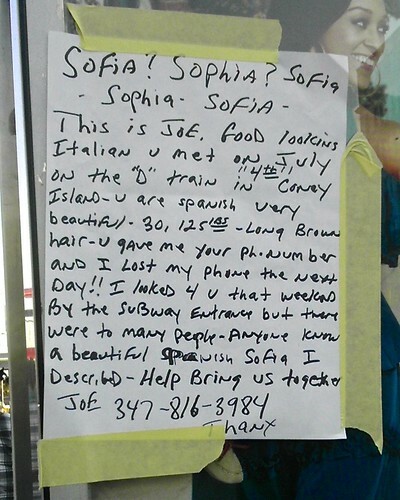 This handwritten sign was posted on the side of a bus shelter in Coney Island. I can’t help wondering whether the author taped it next to the model’s face because he thought she resembled the woman he wanted to find. 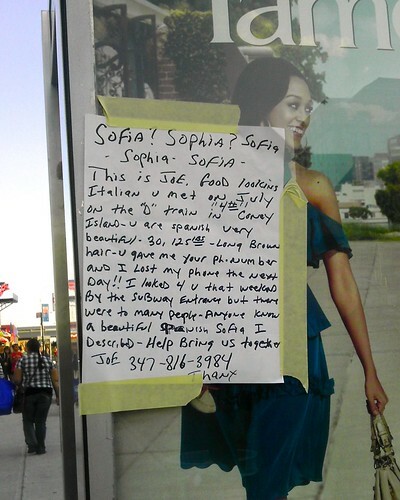 I haven’t yet decided whether Joe’s note is sweet and romantic or stalker-ish and creepy. Or both. You are currently browsing the Blather From Brooklyn blog archives for August, 2012.